Today’s post is all about one of my favourite high street stores: Boots! It is both a blessing and a curse that I work opposite a Boots store and I visit the store at least once a week depending on how much I’m working. I usually take a trip on a Saturday morning during my break before the mad afternoon rush and I always spend some pennies! 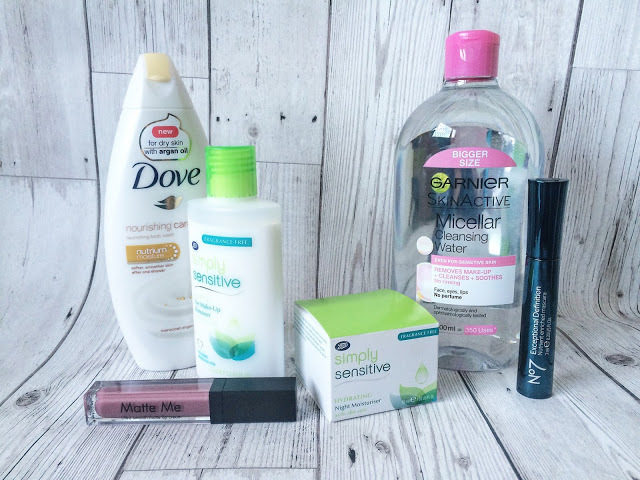 I have used and abused my Advantage Card and extra points tokens this year in the run up to Christmas; pretty much everyone is getting toiletries from me this year! Every year, my mum and dad don’t ask for a big present from me so I tend to get them toiletries that I know they love and will use which is why Boots is my first port of call! However, I also just go in to buy myself bits and pieces which I may have done recently- oops! 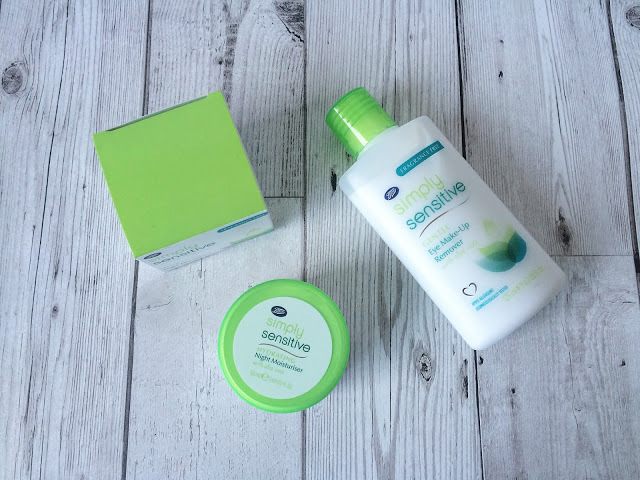 Skincare is a difficult find for me as I have sensitive skin and eczema. I really struggle more than most to find products that don’t irritate my skin constantly so when I find a product I love, I tend to bulk buy it before it gets discontinued! 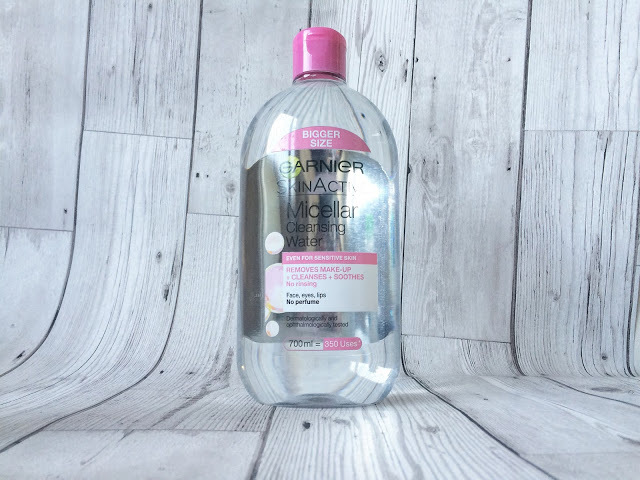 In typical blogger fashion, when I saw everyone using the Garnier Micellar water, I knew I had to give it a try. Originally I bought one of the tiny bottles to make sure I liked it and I did! I use this every morning and night so when I saw they had a supersize bottle for just over £5, I just had to buy it. I’m not sure how easy it will be to use in a bottle this size so I may end up pouring it into the smaller bottles for ease! I’m also a huge fan of own-brand drugstore skincare. 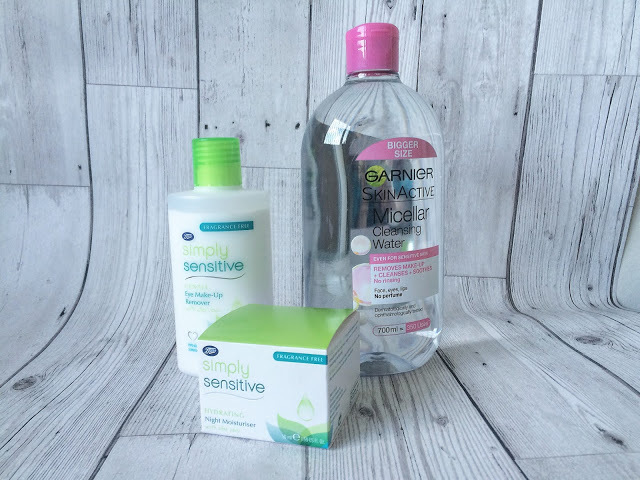 Wilko, Superdrug and Boots all have a great range for sensitive skin and I’m working my way through them all. I’m already the owner of this night moisturiser so this was a restock for me. It takes a few minutes to sink in once applied which is why I apply it right before I get into bed. I also wanted to find a lighter eye make-up remover that was creamy so it wouldn’t sting. I’ve only used this a couple of times so far and it’s not bad! I’ve not tried it with waterproof mascara yet though so that’s the true test! 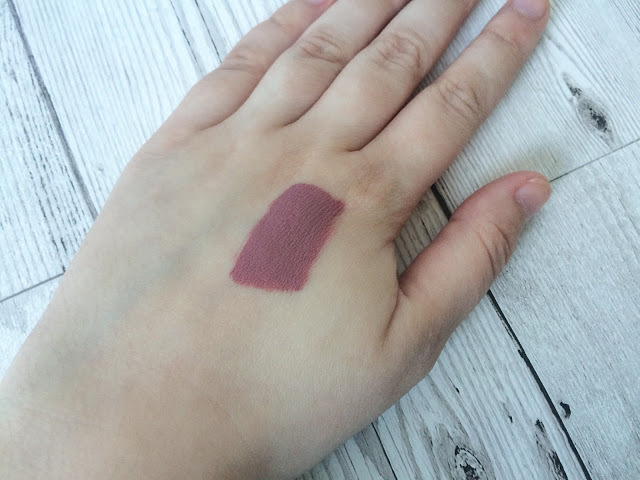 I had gone into Boots for the Christmas set of Sleek’s Matte Me lip creams but unfortunately, my local branch doesn’t stock them! Instead, I bought just the one and a No.7 mascara and had a voucher for both! 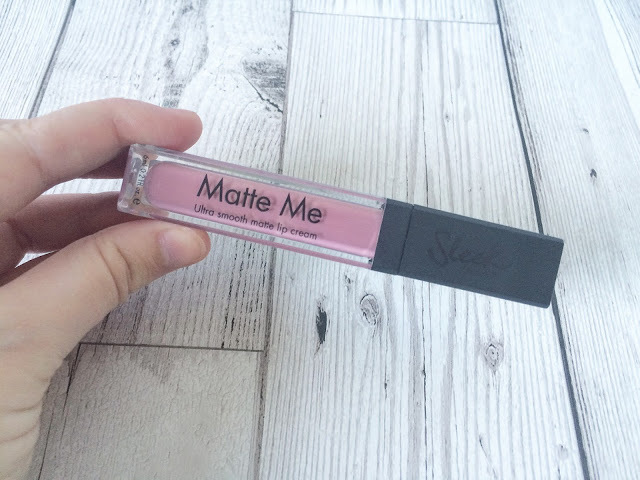 I bought the Matte Me in Shabby Chic as I thought it was the colour that I would probably wear the most. My initial first impressions are that I’m not sure how often I will use this. 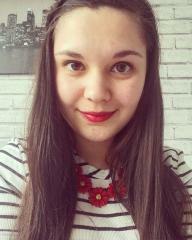 I have very dry lips especially in the winter! It made my lips feel even more rough so if any of you know of a good lip primer, do let me know. 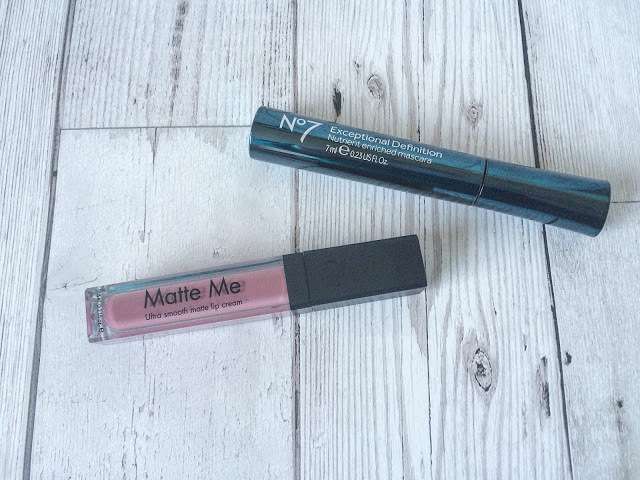 If you’ve been reading my blog for a while, you will know that I am a huge fan of No.7 mascaras AND I had a £3 off coupon so who was I to refuse another treat for myself? I love the displays of No 7 make-up as I can see what the mascara wand is without having to open a tester tube! 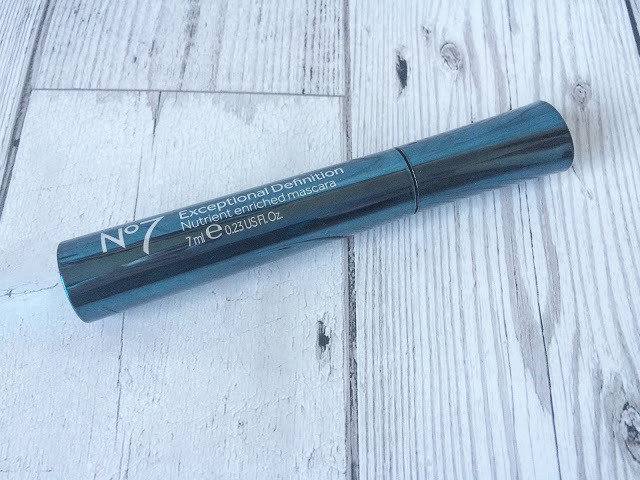 I went for the Exceptional Definition mascara again as I used up the last tube of it I had! I alternate it with the Stay Perfect mascara mostly! 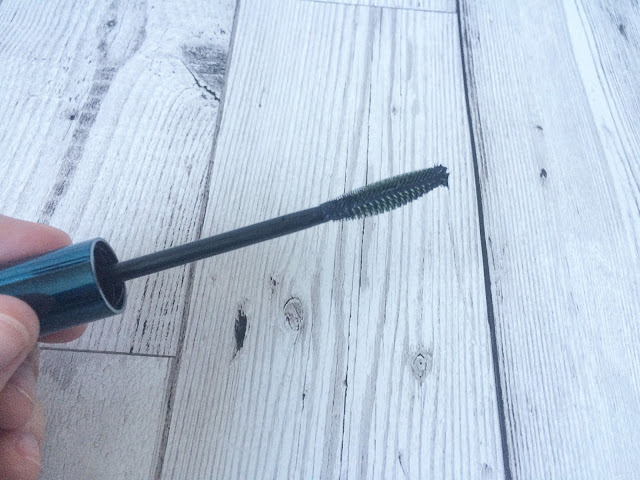 I tend to go for mascaras with smaller wands and plastic bristles and that’s why I stick with No 7! I will be sharing another Boots haul soon too; I just can’t keep away when they have so many offers on! Have you been in Boots recently? Show me you latest buys by leaving a comment below!